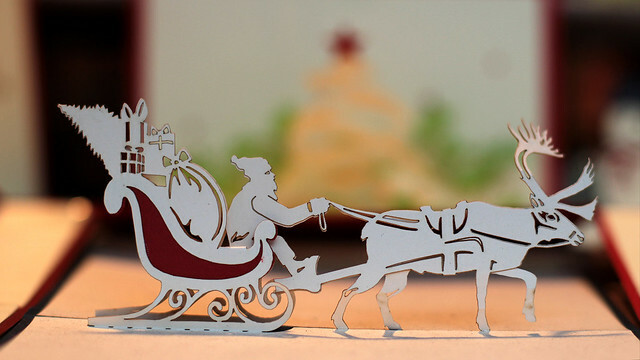 10 Dec: Laser cut Christmas cards – they seem to be everywhere! Pretty much any Christmas markets that I’ve walked by have at least one stall stocking them. They are rather picturesque and I got sucked into buying a handful few myself. Amazingly, at a reduced price too. I just off hand asked if the vendor would give me a discount if I buy more, and I got it. Huh. 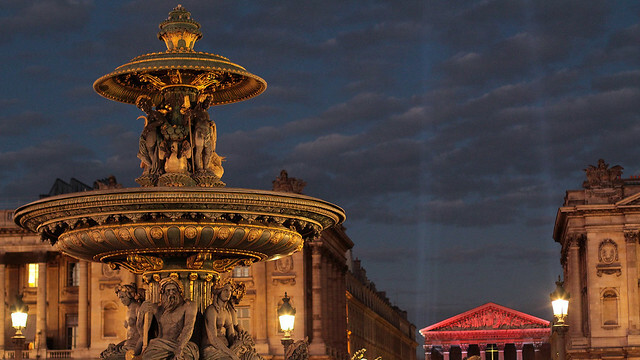 The girl who fails to bargain in Asia managed to score one in Paris (while speaking French)! Who would have thought that? 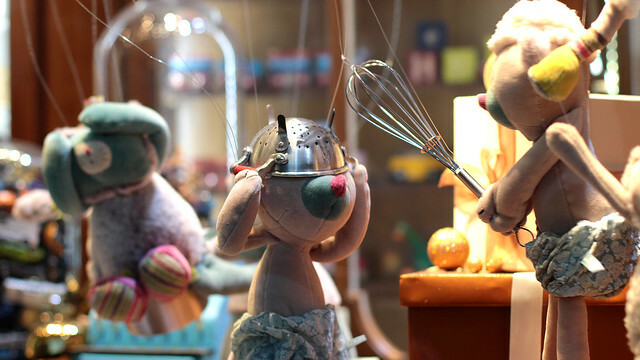 11 Dec: BHV has some fun window decoration for the holidays, with tons of moving puppets and playful poses. In this particular set, I’d like to have the plushies and the kitchenware they’re trying to promote. Such wonderful lovely sets of bakeware, dishes, etc. I’m rarely seduced by windows showcasing clothes or shoes or other toys, but the kitchenware had me daydreaming all the time. Just as well my Parisian kitchen is too small for me to try to fill it with new items or goodness knows what will happen. 12 Dec: Our apartment smells like Christmas today. I still had some leftover apples from baking a crumble last week so I decided to test out a new recipe that also calls for cinnamons – lots of it actually, nutmegs and cloves. 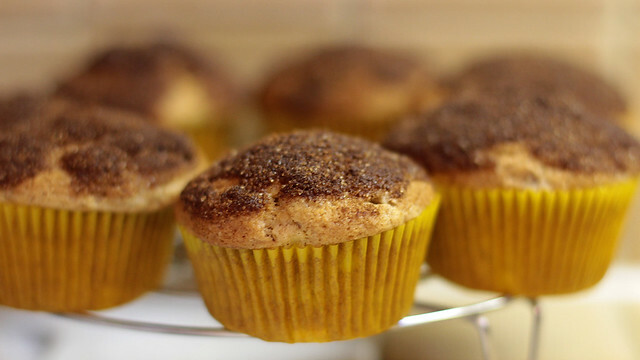 Ta-da, a batch of lovely muffins came along quite nicely. I may have chopped the apples too finely though, for we miss the crunch in the muffins. Something to modify for the next batch I guess. 13 Dec: Now this is how you know that it’s a truly cold day in Paris – when visibility is reduced and misty shroud makes parts of tall structures/buildings disappear. Days like these, Eiffel Tower would be headless, and Montparnasse Tower would nearly disappear from view from my window. The latter is truly saying something, since our bedroom window overlooks it directly and we’re a couple of hundred meters away from it by location. 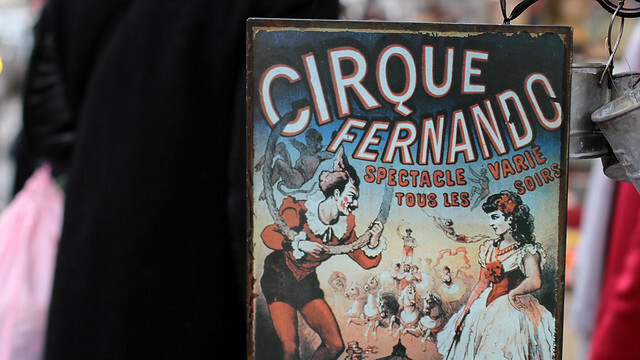 14 Dec: Cirque Fernando is the former name of a famed French circus, but today goes by the name of Cirque Medrano. It was a source of inspiration for several Impressionist/Post-Impressionist artists who produce marvellous paintings including Degas’ Miss La-La, Toulouse-Lautrec’s The Equestrian as well as The Mendrano Clown, Seurat’s The Circus, and Renoir’s The Jugglers of Cirque Fernando. 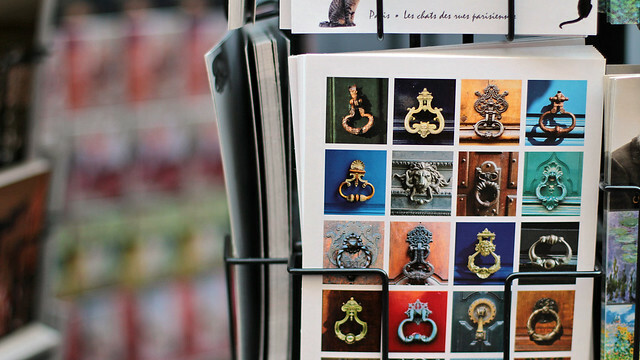 Decorative plaques like this can be found from time to time in novelty shops, antique stalls and even at the bouquinistes along the River Seine. 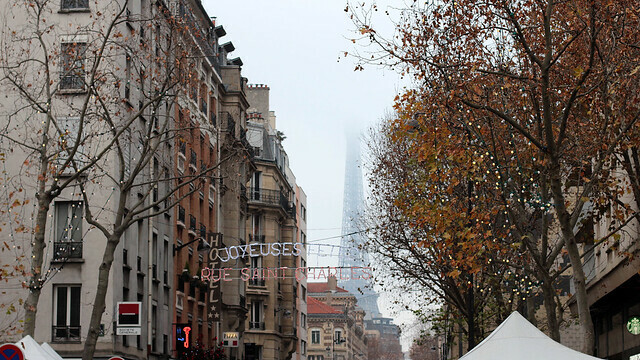 15 Dec: I hadn’t the courage to tackle the Christmas market on Champs-Élysées – there was just too many people on the tight sidewalk, and too much traffic on the roads. Coming out from a photography exhibition nearby, Alex, Chloé and I decided to skip the market in favour of hot chocolate and pastry in Angelina. We stopped briefly at Place de la Concorde and grabbed a few photos of the blue hours and this is my favourite shot of the evening, looking towards Madeleine.